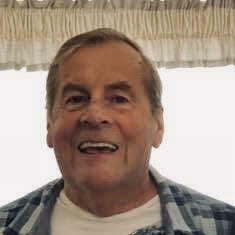 Harold “Sonny” Murchison, Jr., 77, of Pinehurst, Idaho, passed away November 29, 2018 at Mountain Valley of Cascadia of Kellogg, Idaho. He was born December 15, 1940 in Kellogg; Sonny was the son of Harold “Pat” and Cornelia “Snip” (Ver Wolf) Murchison. Sonny attended and graduated from the Kellogg High School in 1959. He served in the U.S. Army during the Viet Nam era. Sonny married Julie Hei on June 28, 1980 in Coeur d’ Alene, Idaho. Sonny had lived his earlier years in the Silver Valley; after the closure of the Bunker Hill Mining Company, Sonny and his wife Julie moved to Alaska, where he resided for twenty-eight years. In 2014, Julie and Sonny moved back to the Silver Valley. Sonny was a skilled machinist. He had first owned and operated the Saw Shop of Smelterville, Idaho; he then went to work for the Bunker Hill Mining Company for several years, until its closure. When moving to Alaska, Sonny worked for the Louisiana Pacific Pulp Mill in Ketchikan, Alaska and the GLM Machine Shop of Kenai, Alaska, until his retirement. Sonny loved and enjoyed his family, fishing, gardening, tinkering around the home, small engine repair and snowmobiling. He also loved having dinner and watching the Zags with his wife Julie and mother-in-law Clarabel Hei on game night. Sonny is survived by his wife Julie Murchison of the family home of Pinehurst, Idaho; three children Deena (Gunnar) Bergstrom of Soldotna, Alaska, Bud Greer of Kingston, Idaho and Vincent Greer of Pinehurst; six grandchildren; he is also survived by several nieces and nephews. Sonny was preceded in death by his parents and one brother Richard Murchison. A Celebration of Sonny’s Life will be held on Wednesday, December 5, 2018 at 1:00 P.M. at the St. Rita’s Catholic Church of Kellogg with Father Jerome Montez officiating. A reception/luncheon will be held in the Church Fellowship Hall following services; everyone is welcome. The family suggests that memorials may be made to the Shoshone Cancer Resource Center, P.O. Box 261, Kellogg, Idaho 83837.